a 5th. consecutive year in 2019. Our sponsors Golfstream have launched an exciting new electric trolley called VISION. 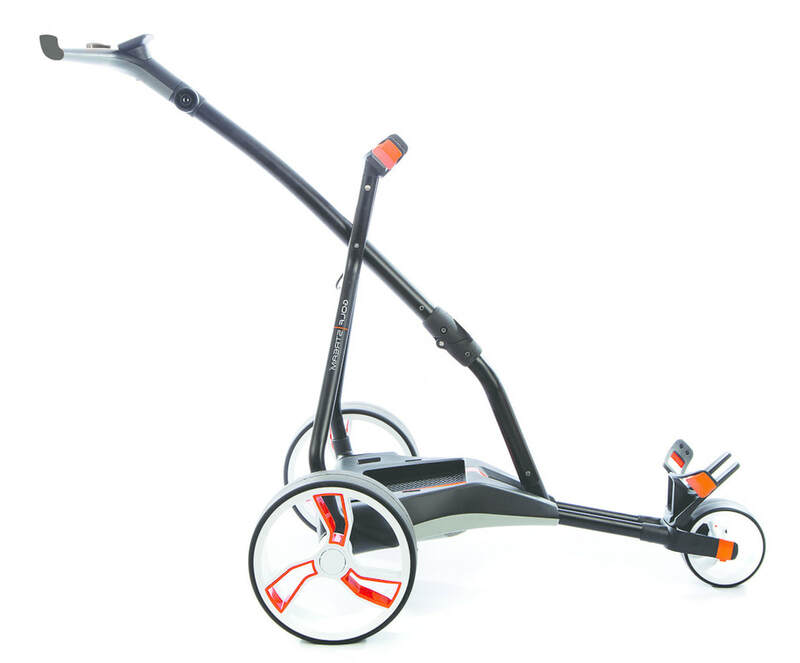 It is the simplest trolley in the world to fold up and down and folds flatter than all others in its class, add to this the screen that can be seen in any light, even full sun with no glare and you will see it is real contender in the golf trolley market. It is available in early June. Golfstream​ wanted to remind us that they offer 10% off all purchases on their website, this includes the new VISION so with a RRP of £449 KGVL members can use their exclusive code * to get one at £404:10 including VAT and delivery for an 18 hole lithium set. It has to be the best value trolley you will be offered this year. The three KGVL Championships were fantastic this year - all played in great weather at three superb and obliging Golf Clubs. Regarding the Group Winners Championship the winning club from several Groups wasn't known until the very last matches of the year - exciting times. ​The Championship Winners are briefly given below but click on the Championships button for full results and further images. 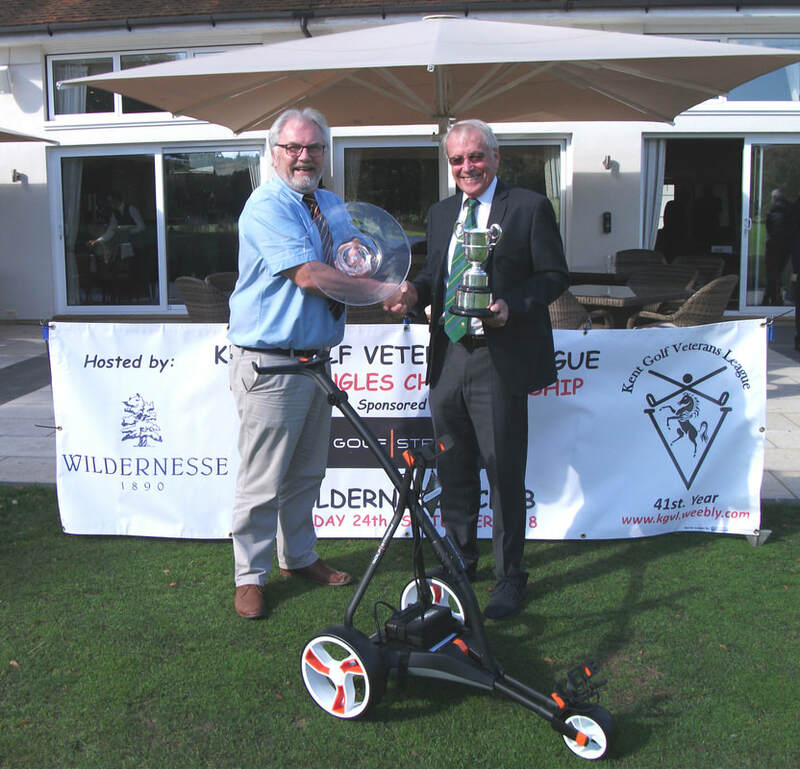 Martin How [C] & Hugh Horsford [R] being presented with their prizes - a lithium powered Golfstream Vision Trolley each and the Challenge Trophy by Golfstream MD Derek Richford. The winning Captain Rob Wild [CL] being presented with the 'Founders Cup' from Derek Richford MD of Sponsors GOLFSTREAM. Each member of the winning team received a lithiun battery courtesy of Golfstream and KGVL crystal glasware. 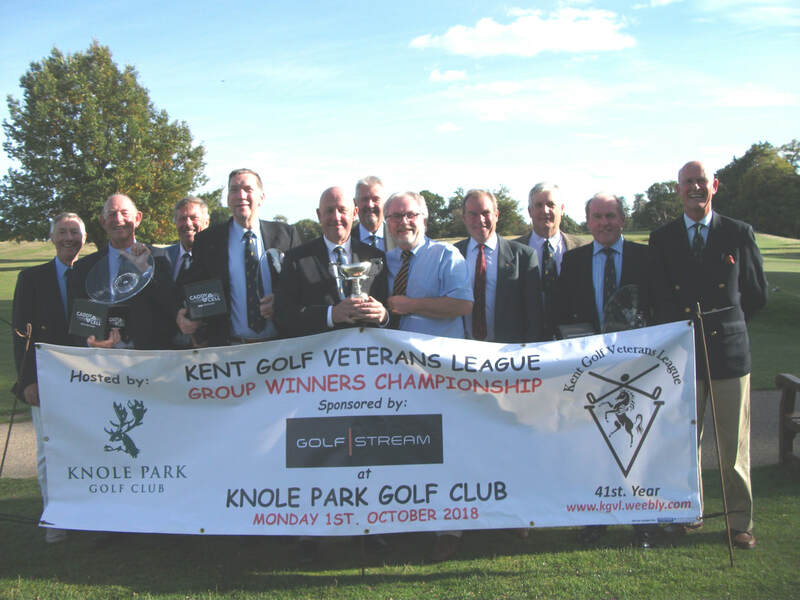 The Kent Golf Veterans League was founded in1978 to provide and promote competitive golf for the over 60's in the County of Kent. Twenty seven clubs in five geographical areas competed in the first year on a home and away basis. Now some thirty eight years later the League has grown to fifty member clubs in eight geographical areas. In addition, there are six Affiliate Member clubs. The winning Teams of each of the eight Groups compete annually in the Group Winners Championship for the 'Founders Cup' in the Autumn each year. Eighty players contesting four ball better ball Stableford play. In addition, also in the Autumn, each member club & affiliate club send a representative to contest the annual Singles Championship. Championship venues are selected on a strict rota basis to ensure that there is no undue burden on any particular club. Once a club has hosted a Championship the club would not be expected to host for another twenty years. Any club in the County of Kent wishing to enquire about joining the K.G.V.L. or would like further information should use the 'Contact' tab at the top of the page. To read the full history of the Kent Golf Veterans League use the 'History' tab also at the top of the page.